Every technology push in recent history has led to great hopes and fears. When humans invented railroads and telegraphs in the 19th century, many rightly believed that accelerated transportation and long-distance communication would increase mobility, facilitate transactions and lead to economic prosperity. But some, like the famous author Henry Thoreau, would be much more critical. Will we lose touch with nature and our immediate surroundings? And what if “we are in great haste to construct a magnetic telegraph […], [but] have nothing important to communicate”? When computer numerical control (CNC) machine tools were widely introduced in factories in the 1970s, companies were looking to reduce costs, increase efficiency and improve quality control. But critics argued that such automation would lead to the ‘deskilling’ of machinists, and make work much less meaningful. Going forward, the economist Paul Krugman argues that the current wave of service automation may lead to an irreversible loss of jobs. And indeed we see it coming: “chatbots” replacing human call centers; robots running hotels; intelligent software composing classical music and writing the next Game of Thrones book. Science fiction authors would go even further and predict that computer technology might become self-aware and seize control over inferior humans entirely. Classics such as “2001: A Space Odyssey” and “The Terminator” all tell us similar stories of the future. Harari’s argument follows the same pattern. While big data and algorithms will increase our cognitive capacity, help us make better choices, and prevent diseases and disasters, they might gradually take over our lives and replace ‘free will’ and ‘intuition’, since each individual will try to optimize their choices, minimize chances of failure, and maximize their potential. But there is a different way of interpreting what’s going on. In his earlier bestselling book Sapiens, Harari argues that what makes us humans special is not our cognitive capacity, emotions, and creativity, not to even mention our very limited sensory and physical abilities. There is sufficient evidence of highly intelligent octopuses and whales; mammals and even plants having feelings; chimpanzees that can paint; countless species with superior vision, hearing, and smell that could easily kill or outrun us. No, what makes us humans special is our ability to imagine things, communicate in complex ways and coordinate ourselves in large numbers. No animal we know of has ever established a religion, imagined any utopia or apocalypse, or set up any sophisticated norms, laws or ethical codes of behavior that are followed by Thousands or Millions. Now interestingly, most if not all advanced technologies humans ever invented helped us compensate for our many limitations compared to animals, but they never touched any of our true strengths. Trains made us faster; planes made us fly; machinery made us stronger; computers made us smarter; medicine made us live longer. And no doubt these accomplishments have made humans more productive and led to economic prosperity. But how about things that give us purpose and meaning? Was any religion ever ‘enhanced’ through technology? Did any significant value, human right or legal regulation result from smart algorithms? Did computers ever produce social movements or political systems? Social innovations such as democracy or human rights, as much as social hierarchies and inequalities, are not just very complex in practice, but their development is typically very messy and nonlinear. Something that smart algorithms are neither able nor designed to predict. Throughout history, humans have started wars, destroyed the environment, and produced immense injustice. But humans have also made social progress – often in response to catastrophic events. For example, the American with Disabilities Act (ADA), which gives people with disabilities better access to jobs and public services, was passed by Congress in 1990 based on pressure from a social movement led by wounded veterans from the Vietnam War. The European Union, with all its flaws, emerged from the traumatic experience of World War II. Advanced technology had very little to do with those social innovations, nor was it responsible for the emergence of ISIS and Boko Haram. Surely, terrorism of today utilizes social media to spread fear and anxiety, but the roots and causes are much deeper. So how much will big data algorithms change all that? I agree with Harari that they may have a huge impact on how individuals, corporations and governments make decisions. They might even affect the direction of political campaigns, social movements and terrorist groups. Algorithms may also influence increasingly which news people consume, especially on social media – even if human editors remain important gatekeepers of information. But will algorithms also affect the very social fabric of human societies? Or will rather ‘old-school’ structures, such as social hierarchies, economic inequalities, and political institutions prevail? Many argue that big data technology did not develop ‘automatically’ but has been driven by rather conventional economic interests of corporate Internet giants like Google and Facebook and security interests of nation-states, and that their use may reproduce and even reinforce already established hierarchies and inequalities. Harari himself gives a fine example. Who will benefit and who will suffer from accelerated technological upgrading of our human body, e.g. through nanobots regulating our health? Winners certainly include medical device producers and wealthy customers, whereas the poor may fall further behind, unless some law comes along to mitigate such inequalities. If so, who is to blame for such consequences? Smart algorithms, or the hierarchies of privilege and power that have co-evolved with human societies for thousands of years? And how likely will big data algorithms actually replace our ‘free will’? Harari suggests that individual freedom in the future might also be the freedom to disconnect, the freedom to use smart technologies that suit our lives and avoid those that might harm us or get us addicted. Or as Henry Thoreau put it: “A man is rich in proportion to the number of things which he can afford to let alone.” But this requires education and may produce a new divide – between those conforming to big data algorithms to make decisions for them, and those who are able to lead more autonomous lives. So maybe big data algorithms – and those who develop and commercialize them – will not control what drives and constrains us in life, but they may evoke new opportunities and social orders that influence our choices and challenge our individuality. This entry was posted in Business, Capitalism, Economic Development, Ethics, Inequality, New Economy, Social Change and tagged Algorithms, Artificial intelligence, Autonomy, Big data, Cambridge Analytica, decision-making, Facebook, Free will, Google, Homo Deus, Homo Sapiens, Information technology, Robots, Yuval Harari. Bookmark the permalink. In terms of business, AI technology will certainly replace many jobs in the future. Today we are seeing some jobs being replaced by machines, specifically those that entail simple tasks. The self checkout cashier machines in grocery stores are the prime example of this concept. As AI technology progresses, jobs with more complex tasks may also be at risk due to the fact that machine learning can analyze transaction data and learn about consumer behavior which will enable the machine to decide on optimal choices that managers may have a tough time doing. AI machines have the capability of learning about you, arguably better than you know yourself as mentioned in this article. Technology has come along way since the 19th century and it seems to be growing at an exponential rate. This growth is also shaping society regarding businesses and even social norms. Businesses can use faster transportation methods with planes and railroads, and people are becoming invested into their smart phones that they carry wherever they go. More and more government regulations will most likely be set in place after each advancement of technology. As we are seeing today with Facebook, privacy is a major public concern that needs to be addressed due to the use of digital data. This is only one example of many more instances of technological controversies that we will see in the future. I anticipate that AI technology and machine learning will raise more questions as we move forward. This was a very eye opening article and a great read. Thank you professor! Great article! Thanks author. I agree with your points that big data and algorithms can bring lots of benefits for us, such as cost reduction, faster and better decision making, new products and services, production recommendation and grand detection. However, there are still some challenges for big data and algorithms, for example, Security is one of the major concerns with big data. To make more sense from the big data, organizations would need to start integrating parts of their sensitive data into the bigger data. To do this, companies would need to start establishing security policies which are self-configurable: these policies must leverage existing trust relationships, and promote data and resource sharing within the organizations, while ensuring that data analytics are optimized and not limited because of such policies. Hacking and various attacks to cloud infrastructure would affect multiple clients even if only one site is attacked. These risks can be mitigated by using security applications, encrypted file systems, data loss software, and buying security hardware to track unusual behaviour across servers. Great article! I can highly relate to this article as I was a heavy facebook user. But big data algorithms might not be the best idea as per say. They may have linked the first ever brain to the internet, however, there are a million scenarios and a million possible outcomes let alone required for problem solving. No matter how efficient companies are, there will always be glitches and these glitches cannot be fixed by other machines, it has to be done by its creator. In terms of advertising and sociality it has a big thumbs up, I just have to disagree with everything being taken over by data algorithms over an individual. It is so surprising about the information about “only 150 likes on Facebook to know what we need, and 300 likes for software to know us better than we do”. This information a little bit makes me worry about our private information is secured or not? 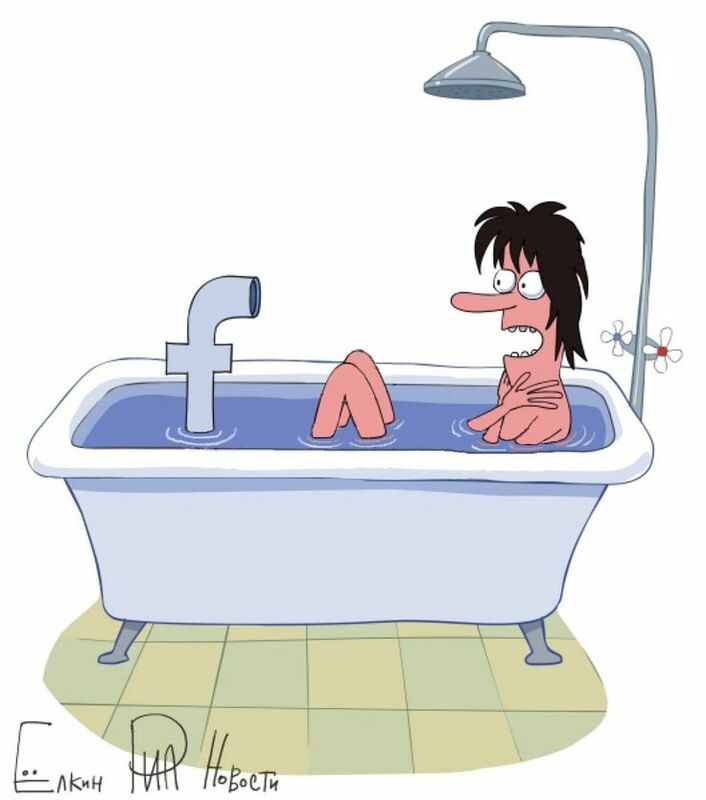 As the recent scandal of Facebook that our private data is in dangerous and unsecured from the third party. I mean that the social media can makes our life more convenient and brings us closer. However, we need to be aware which we should share on social network and which information that we need to keep for our own. I believe that any techonologies that human create, human can control them. In this case, I mean that I do not really think that big data can replace our lives. It is just based on how each person use it, if human use it in a good purpose to create something to make our lives better then it will be great. However, if people take advantage from this like Donald Trump scandal, then we need to investigate and think carefully about this problem. Great article! It’s such an alarming fact to know that just by 150-300 likes in Facebook the software knows your interest better than we know ourselves. I consider Artificial Intelligence is something we can definitely use in our favor but the issues we are facing with privacy and not being aware of what information we are giving the big corporates is truly alarming. We can definitely reduce risks and emphasize the opportunities there are for individuals but we also have to look at what information people are willing to share. Regarding autonomy and letting software make daily decisions for us can become a risk, as mentioned in the article will AI drive our lives and until where would we rely on it. I totally agree with the author mentioned that while big data and algorithms will increase our cognitive capacity, help us make better choices, and prevent diseases and disasters, they might gradually take over our lives and replace ‘free will’ and ‘intuition’. As the advanced technology increases, the human is getting lazy and simple. More people are trying to make their life easy, such as the Intelligent housekeeper system. The robot can help you control the condition of the house, but if it takes over your power off. What disaster will happen? In short, the human should consider the worst results when everything involves the robot, high-tech, and automation because everything can happen. Agree 100%. Technology has become an essential part of our lives and we depend on it more than we realize. It was made lives easier and perhaps changed the way we do things, for the better- more faster, reliable and convenient. While technology is great and has made our lives so much better. I can’t help but wonder how it will impact us in the next 10, 20 years to come. To think that Facebook, actually knows you better than your family is somewhat scary to me. Like the recent Facebook scandal, had me questioning deactivating Facebook. Sometimes, I even think twice before I put my real information like address or D.O.B on it. However, there is no denying that it certainly is useful for a lot of us.Personally, I find myself using my phone for a lot time, until I remind myself to put it away. We need to know when and how much time we should invest and try to limit ourselves from using our phones constantly. While algorithms and artificial intelligence make up a huge part of our lives these days, from the applications we use, I still think it is in our hands ( at least to some extent) to determine its use. It is inevitable that machines will soon surpass our human capacity. Machines simply have the ability to “memorize” information flawlessly through their algorithms a skill that is rare in the anatomy of a human. Being able to recall every event that has happened in our lives, down to the most minute details is simply not possible with our minds because our memory is flawed with biases. With every detail that we forget, our brains are pre-wired to fill in the details for us which in turn will alter the original story. However, this is not something we should be afraid of. Instead, we need to learn how to utilize this advancement to our advantage. We have the ability to feel emotions and dissect various human emotions, computers will never have that human complex. Our empathy towards others and compassion is what makes us unique to computers, so although a computer may be able to automate a process they will never be able to replace the job of a lawyer or a psychiatrist. In these days, technology becomes a fixture and a necessary in our society. The big data and algorithm make a massive change in our leisure and a huge impact on our life especially when people need to make a decision. Too much relies on technology can harm ourselves and make us fool. I would say that the way our society is functioning now, we can almost bet the bank that it is trending towards a computer/robot driven life. We already see that counter positions at the movie theaters, Netflix and McDonald’s have been replaced by computers. This is something that our economy favors and stockholders enjoy, get rid of human labor to cut costs and increase returns. How much further do we let algorithms speak for us? What are the long term effects of decreasing human interaction? In the moment we only want our experiences to be faster, but at what cost? These questions can only be answered with time and I hope that as immature as the American government is, we are still able to draw the line between formulas and intuition. Nowadays, we are required to use Big Data in our everyday lives, that is how we can keep up with the fast pace that we are a part of. Arguments in favor of it and against it have both strong logic. From my standpoint, I believe that Big data is taking gradually control of our habits, if we stay in this frequency, we will lose many social skills, which differentiate us from other living creatures. This is why great minds should focus on shifting all the inventions that Big Data uses to use it in ways that it provides a greater good (EX: Healthcare). Moreover, the civil environment should be more aware of the consequences that Big Data algorithm can have on one’s life, parents also should try to minimize the use of these things in order to minimize their children from exposure to these algorithms in order to improve their social skills and maintain a healthy psychological development. It is so remarkable for the list of achievements of AI and Big Data listed in the first paragraph. We all have to admit that computers are already better than human in many areas like cheese and Go. It is certainly necessary to have the fear about the fast progress of AI, especially that they can change human society as everything is now online. AI can make connections and utilize all resources to convey their designed social changes. I am also very positive about the future of AIs since there are many limitations in the decision-making process of human, which is resulting in some social failures and hardships. AI has the potential to fix these issues through more rational and reasonable decisions. Every time I’m requesting an Uber I’m glad how fast I get picked up by a nearby driver who can give me ride perfectly fitting in his current route. Applications like that coming from smart algorithms is something I really appreciate about technological progress these days. Being interested in the world of investments, I am fascinated by funds using solely quantitative investment strategies conducted by self-improving algorithms that enable to participate within nanoseconds from temporary price fluctuations bringing securities in disparities. know all my needs, fears and hopes sound just scary for me and I am – from a privacy perspective – somehow concerned about the future development of algorithms and the big data infrastructure. algorithms will increase steadily and thereby our lives will be controlled by artificial intelligence to an extent which could be larger than we’d like to. Notwithstanding, I think this phenomenon will primarily affect things like our working lives, shopping experiences and navigating through the everyday life since these areas are somehow determined exogenously by nature. In contrast, the extent to which artificial intelligence will influence things like our private life, personal relationships, choice of partners and parenting can still be controlled by us. Even though there will be solutions being maybe more efficient, faster and easier, at the end of the day, it is 100% our own decision to refuse taking advantage of that and to boycott social trends that force you to be 24/7 online and fully transparent as well as sharing everything you do, you like and you dream for – big data algorithms will never replace our free will. We live in the era of information which means that individuals are capable of accessing to any kind of source at any time, technology has definitely improved many aspects of life but it has also created high dependence in society. This dependence to technology has driven many people to change their daily routines, where simple tasks as driving, cooking, taking a shower or using the toilet now involves the use of a technological device like a smartphone. I think what really makes people afraid of technology is the lack of adjustment to the constant change we have in society. On the other hand, I don’t think that any technology will never reach the level of reasoning a human being has. The problem has arisen since individuals started seeing this technological improvements as a need instead of support. As a community we need to embrace these changes and don’t let them intervene in our positive aspects of our lives. In my opinion, technology has already taken over the lives of my generation and it has started to penetrate into older generations as well. Given this, I imagine future generations will experience levels of technology that are currently unimaginable. Advanced algorithms are surely going to seep into every aspect of life reducing humans to being more and more reliant on information sources, and knowledge that they have not acquired through their own brain power. I think this will first be seen in a workplace but will not be limited to just this environment. Living in an world where we only seek to improve in order to overrule competition feels like at some point we will drift away from our ability to succeed, and leave it to a more powerful product. Given that there is no way humans can now compete with some data algorithms,we can predict that in the future AI will take over several jobs. It is disheartening, but once someone implements it, others will follow along and will eventually be inevitable. My initial argument was that humans could find ways of fooling computers (thus proving their weaknesses) but once we connect our brain to computers, it seems like that will be much harder to accomplish. I can’t say for sure how soon this will occur, but given our ability to have engineered technology that 10 years ago we could have thought it would be impossible to make, it sounds like soon is just right around the corner. I think algorithms help everyone do everyday tasks and they make life easier. It has given us ways to communicate with people all over the world, see what others like and be part of a community. It allows for companies to survey trends and put them into products. Algorithms do influence us on hot topics such as politics, but it is up to the reader to decide what they want to believe and how it will their affect lives. Whenever I drive somewhere, I always make sure to plug in the address in Google Maps even if I know the directions. It simply helps me analyze traffic. Algorithms would probably be used in the same way. Using a website that helps me find possible career choices through my likes and dislikes is an example of this. So yes, it may control our behavior and our lives, but only if we embrace it. What I perceive as most stunning about this blog article is the huge array of references it draws to our everyday lives and other enormously pressing issues around the globe. However, the most important insight presented are the disrupting consequences for highly established professions in developed and developing countries. I think this perfectly refers back to the Smile Curve of value chains that describes the degree of standardization of jobs and the related tasks performed. The bottomline is that the higher standardized a job is the likelier it is that the job is going to be sourced out or automated. With the vanguard of advanced technologies, especially in the area of AI, the Smile Curve keeps flattening further which implies that more and more jobs can be standardized, even those that are meant to have an inherent “human advantage” e.g. R&D or Marketing/PR and strategic management. So yes, I think that Big Data is definitely going to control our lives when speaking about professions and employment relationships. On top of that, I think the article clearly pointed out that Big Data and the algorithms to process it are not only affecting our work place environment, but also our personal lives to a huge extent. I do not think it will control the lives of those who refuse to be controlled. Those who choose to “unplug” as Henry Thoreau once did. However, technology is not slowing down, it will only keep increasing and more and more you will see advanced algorithms being used. It is likely that many will fall into the technological trap and become over dependent on algorithms and technology. Even though there may be some to gain from this, those people too dependent will surely miss out on what is most important. Knowledge and mastery of oneself, and how you learn to treat your fellow man. I find it interesting how this article mentioned or used a Hollywood movie to provide an example or view for the audiences. And it makes me think if the fear that some people are having is due to the Hollywood movies that many have watched over the years. Just like the movie 2012 that made a huge global impact to the public. I personally don’t think the computers or robots will go beyond human, just because humans have emotions and feelings are main sources to new creations. Computers and internet is a huge help to mankind but they will continue with helping humans side-by-side. The article is very interesting. In some way, the big data makes a massive change. It is not a secret that the technology has a massive influence on your life. I have similar opinion about the possible affects on society. Artificial intelligence is a great example of the rapid growth of the technology. Of course advanced technologies did not yet directly touch our true strengths like political or legal systems, but keep challenging them on a daily basis. With every new technological development the need for a legal background occurs to built a safe environment for the society. It is a continuous social challenge to keep pace with big data developments. On top of this the steady development influences our personal life and our personal will merely due to the social pressure we experience. What is the most convenient way to stay in touch nowadays? What tools does our society use to communicate? Of course there is always the chance to disconnect and avoid social media. But in a brought sense it is not as easy as we think, since our society moves more and more towards online connectedness. And as there are always weaker and stronger characters in a society who are differently handling technological influences the ease of disconnection is relying not only on each individual but also on the extent of disconnection. I find this to be a very thought provoking subject. I believe that the advanced technology is good in some ways, but on the other hand, people need to make their own decisions. For example, many of us use a GPS to get from point A to point B.One should not rely on them all the time. On the one hand I love the technological progress and how it makes our lives easier but on the other hand I am really scared about the development. When we think about industrialization and automation, machines and technology took over because, in fact, they do a better job than humans. Imagining this can happen to (strategic) decision making in the business context, is impressive and scary at the same time. Will managers completely rely on algorithms in the future? If algorithms will make better decisions, I am sure they will. Can you “just disconnect” from technologies? I don’t agree with that – even though every human has a free will. I think that we need to learn to “disconnect” from some technologies. It can be done by taking small steps. For example, when was the last time you witnessed customers at a restaurant NOT using their Iphone? Well this is incredibly insightful into the fear that Facebook and Google know me better than I do. But I agree this would make the most sense, why would you not want to minimize risk and maximize reward, letting a machine who can think further ahead and faster than a human do the thinking. But the disparity between those who choose to live autonomous lives and those who don’t could cause huge human rights concerns and how do we decide those. At that point it is man’s intuition and need to be free vs the superior computing of a machine. It is wild to think that this is not a science fiction novel but a real world senerio that is playing out.